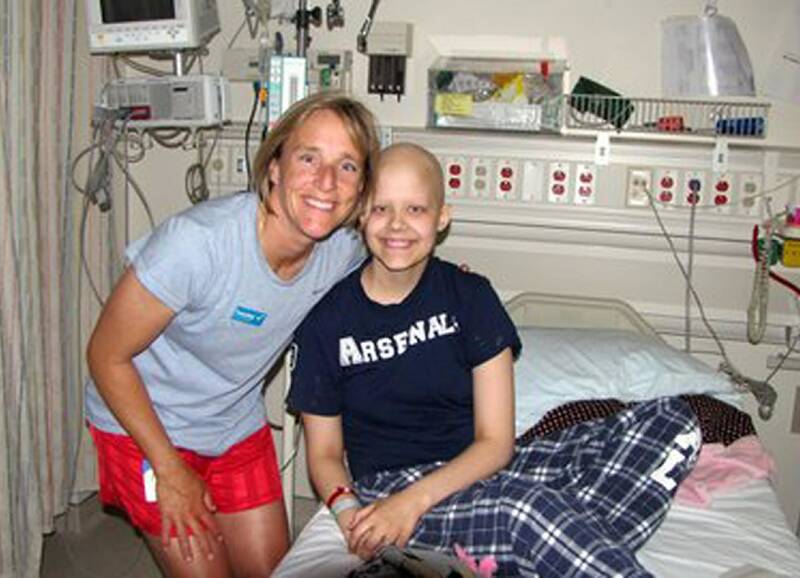 Soccer coach Amy Griffin was in a Seattle hospital visiting a young goalie who was receiving chemotherapy when a nurse said something that made the hair on Griffin's neck stand up. Later, the young woman with the chemo needle in her arm would say, "I just have a feeling it has something to do with those black dots." Artificial turf fields are now everywhere in the United States, from high schools to multi-million-dollar athletic complexes. As any parent or player who has been on them can testify, the tiny black rubber crumbs of which the fields are made -- chunks of old tires -- get everywhere. In players' uniforms, in their hair, in their cleats. But for goalkeepers, whose bodies are in constant contact with the turf, it can be far worse. In practices and games, they make hundreds of dives, and each plunge sends a black cloud of tire pellets into the air. The granules get into their cuts and scrapes, and into their mouths. Griffin wondered if those crumbs - which have been known to contain carcinogens and chemicals - were making players sick. "I've coached for 26, 27 years," she said. "My first 15 years, I never heard anything about this. All of a sudden it seems to be a stream of kids." Since then, Griffin has compiled a list of 38 American soccer players -- 34 of them goalies - who have been diagnosed with cancer. At least a dozen played in Washington, but the geographic spread is nationwide. 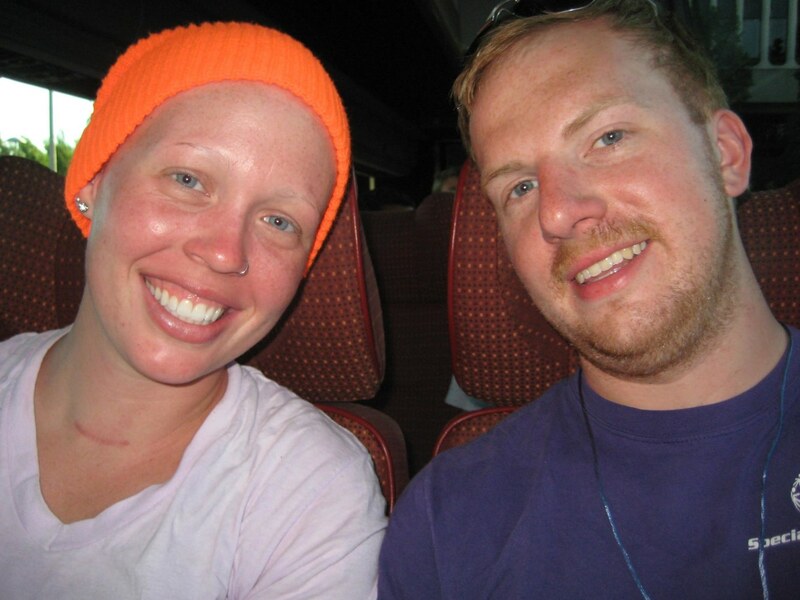 Blood cancers like lymphoma and leukemia dominate the list. No research has linked cancer to artificial turf. Griffin collected names through personal experience with sick players, and acknowledges that her list is not a scientific data set. But it's enough to make her ask whether crumb rubber artificial turf, a product that has been rolled out in tens of thousands of parks, playgrounds, schools and stadiums in the U.S., is safe for the athletes and kids who play on it. Others across the country are raising similar questions, arguing that the now-ubiquitous material, made out of synthetic fibers and scrap tire -- which can contain benzene, carbon black and lead, among other substances -- has not been adequately tested. Few studies have measured the risk of ingesting crumb rubber orally, for example. NBC's own extensive investigation, which included a review of the relevant studies and interviews with scientists and industry professionals, was unable to find any agreement over whether crumb turf had ill effects on young athletes, or even whether the product had been sufficiently tested. "We've got 14 studies on our website that says we can find no negative health effects," said Dr. Davis Lee, a Turf Council board member. While those studies aren't "absolutely conclusive," he added, "There's certainly a preponderance of evidence to this point that says, in fact, it is safe." Environmental advocates want the Environmental Protection Agency and the Consumer Product Safety Commission to take a closer look. While both the CPSC and the EPA performed studies over five years ago, both agencies recently backtracked on their assurances the material was safe, calling their studies "limited." But while the EPA told NBC News in a statement that "more testing needs to be done," the agency also said it considered artificial turf to be a "state and local decision," and would not be commissioning further research. "There's a host of concerns that are being raised," said Jeff Ruch, executive director of PEER, an environmental watchdog group. PEER has lodged complaints against both agencies. "None have risen to the level of regulatory interest." The EPA refused multiple requests from NBC News for an interview, and declined to expand on their statement that "more testing needs to be done." Invented in 1964 by Monsanto, the first iterations of artificial turf were little more than synthetic 'grass' laid on top of concrete. First called "ChemGrass," the product became famous as "AstroTurf" after it was installed in Houston's Astrodome in 1966. Some athletes, however, complained that the thin, synthetic surface made for hard landings. By the early 2000s, a better form of artificial turf had emerged. 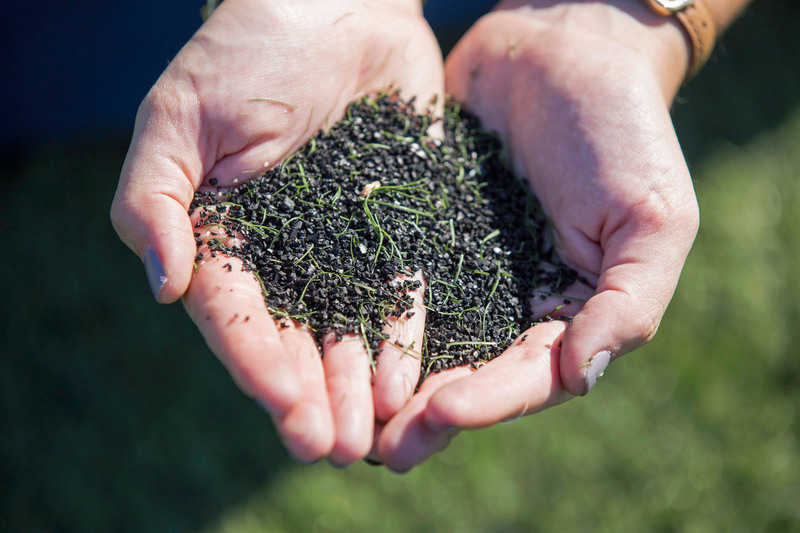 Called styrene butadiene rubber, or "crumb rubber," the new turf contained tiny black crumbs made from pulverized car tires, poured in between the fake grass blades. The rubber infill gave the field more bounce, cushioned the impact for athletes, and helped prevent serious injuries like concussions. Since then, the material has become increasingly popular. Municipalities across the country have floated multi-million-dollar bonds to pay for new fields. Local leaders, some facility managers and companies say that turf costs less than natural grass to maintain, and can withstand heavy use year-round. "THERE ARE BENEFITS HERE. THE POTENTIAL RISK, AS WE KNOW IT TODAY, IS EXTREMELY LOW." Today, according to figures from the Synthetic Turf Council, more than 11,000 synthetic turf sports fields are in use in the U.S. Most of them are crumb rubber. Crumb rubber infill is also used in children's playgrounds across the country. Crumb rubber is an "environmental success story," said Dan Zielinski, spokesperson for the Rubber Manufacturers Association. Not only have turf fields diverted millions of tires from landfills, said Zielinski, but they don't require fertilizer or pesticides, and can save municipalities hundreds of thousands of gallons of water each year. "There are benefits here," Zielinski said. "The potential risk, as we know it today, is extremely low." Jordan Swarthout, 22, started playing soccer when she was 4. She became a goalie at 9, already addicted to the "adrenaline rush" that comes each time the ball hurtles toward the net. When she and her team asked what was in the turf, "old tires" was the best answer she got. "We always wondered what was underneath it," she said. "What we couldn't see." But the smell that hangs over crumb rubber fields - the scent of tires baking in the sun -- became as familiar to Swarthout as her endless goalie drills. She even got used to the "turf bugs," as she and her teammates called them. During high school, she played on multiple teams at once, with two-hour practices five days a week, and games at least twice a week. Every day, she tried to clean the black rubber pellets, the "turf bugs," out of the abrasions and burns she suffered as a goalkeeper on turf. Every day, to the chagrin of her mother, she shook them from her clothes and cleats onto the laundry room floor. She brushed them out of her hair, and spit them out of her mouth. "The little black beads," she said. "In the games and practices they'd get in my eyes, they'd get in my mouth, they'd get in my nose. My mom would get so mad at me because I'd go to the bathroom to take a shower, and the turf bugs would be everywhere." 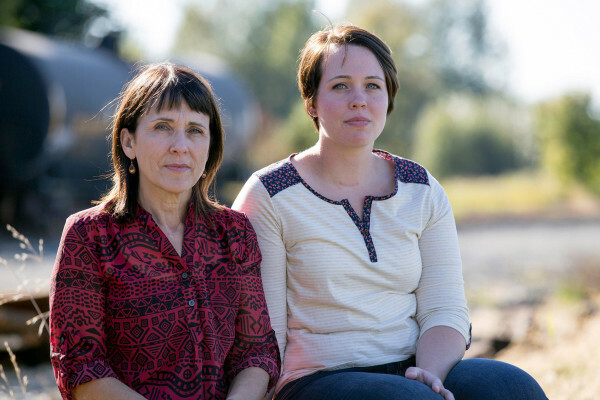 Jordan's mother, Suzie Swarthout, said her daughter probably swallowed hundreds of tire crumbs a year. Yet neither Jordan nor Suzie worried much about it. "We all had the confidence that the proper steps had been taken, the research had been done, that it had been proved to be safe," said Suzie. "We all know how bad tires are," said Jordan. "You don't eat tires. Yet we were. You'd get it in your mouth and you wouldn't think about it." It was one night this past May, months after doctors declared her daughter to be in remission, when Suzie Swarthout saw Amy Griffin's story on a local news broadcast. "I immediately after the newscast emailed [Amy] and said, "You could add another subject to your statistics,'" recalled Suzie. Griffin said that since she first started collecting names of goalies with cancer and other diseases, she's had people like the Swarthouts contact her, and her list has grown. Griffin and the Swarthouts said that they know it's nearly impossible to figure out the origin of a disease like cancer, and that young people are exposed to hundreds of carcinogens. But, said Jordan Swarthout, "If we have it available to us to research this, why shouldn't we? Why can't we?" "If you look at the ingredients that go into a car tire, some people take those ingredients and turn them into health concerns," Gill said. "But after the vulcanization process, those ingredients are inert." "There are certainly chemicals in small amounts [in turf] as in many other things," said Lee, of the Synthetic Turf Council. "You could evaluate most any material out there and you're going to find at some level, some chemical that might cause concern." "The levels as they exist in tires, ground up tires, are very, very low," he added. "The EPA has not found adverse health effect. Several state organizations have investigated it quite thoroughly." Studies have found that crumb rubber fields emit gases that can be inhaled. Turf fields can become very hot -- 10 to 15 degrees hotter than the ambient temperature - increasing the chances that volatile organic compounds (VOCs) and chemicals can "off-gas," or leach into the air. The report concluded that "the use of outdoor and indoor artificial turf fields is not associated with elevated health risks," but that more research was needed to better understand chemical exposures on outdoor fields during hot weekends and in indoor facilities, which showed higher levels of chemicals in the air. Few studies have looked at the issues unique to goalkeepers - whether ingesting the particles by mouth or absorbing them into the body through cuts and scrapes is dangerous. One, published in 2013 in the scientific journal Chemospheres, which analyzed rubber mulch and rubber mats, concluded that, "Uses of recycled rubber tires, especially those targeting play areas and other facilities for children, should be a matter of regulatory concern." A 2006 Norwegian study evaluated inhalation, ingestion and skin exposure to crumb rubber in indoor fields. Researchers identified VOCs such as xylene, acetone and styrene, in the air above the fields. The study determined that inhalation of such compounds would not cause "acute harmful effects" to health, but that it was "not possible…to carry out a complete health risk assessment." Researchers also concluded that oral exposure to artificial turf would not cause increased health risk. Another 2013 study attempted to measure ingestion, inhalation and dermal exposure risk to users, and determined that the fields presented little risk. But researchers identified lead in the turf tested, including a "large concentration" of lead and chromium in one sample. "As the turf material degrades from weathering the lead could be released, potentially exposing young children," the report states. According to Dr. Joel Forman, associate professor of pediatrics and preventive medicine at New York's Mt. Sinai Hospital, in all these studies, data gaps make it difficult to draw firm conclusions. "None of [the studies] are long term, they rarely involve very young children and they only look for concentrations of chemicals and compare it to some sort of standard for what's considered acceptable," said Dr. Forman. "That doesn't really take into account subclinical effects, long-term effects, the developing brain and developing kids." Forman said that it is known that some of the compounds found in tires, "even in chronic lower exposures" can be associated with subtle neurodevelopmental issues in children. "Those are always suspect," he said. "If you never study anything," said Dr. Forman, "you can always say, 'Well there's no evidence that's a problem,' but that's because you haven't looked. To look is hard." "I would like to see some more research," he concluded. That same year, an official from a regional EPA office wrote to three agency offices in D.C., including the Office of Children's Health Protection, and recommended that the EPA undertake extensive testing, according to documents obtained by the watchdog group PEER. "My staff has reviewed the published research on the safety of tire crumb," wrote the official, "and has found information suggesting that children's chronic, repeated exposure to tire crumb could present health hazards. However, sufficient data to quantify toxicological risks from tire crumb exposure are not available." 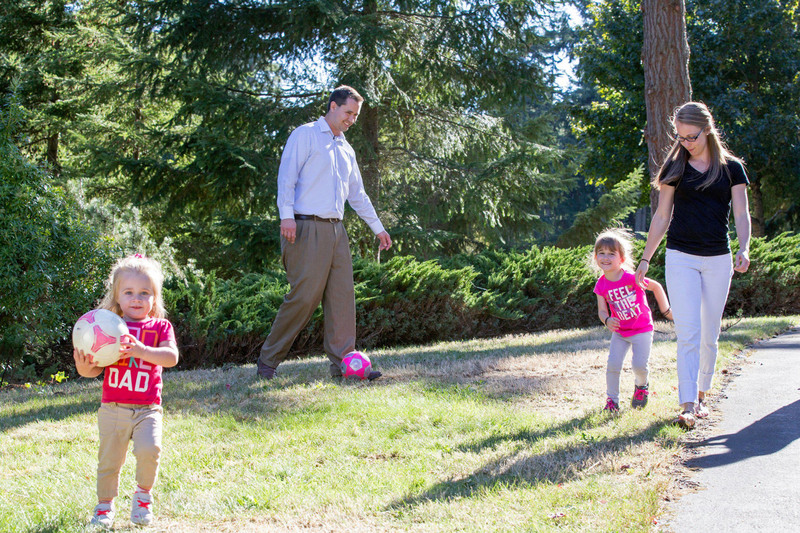 Shortly after, the EPA tested samples from two artificial turf fields and one playground. The concentrations of VOCs and other chemicals researchers found presented a "low level of concern," the agency reported, but it declared that due to the "very limited nature" of the study and the diversity of crumb material, it was "not possible to reach any more comprehensive conclusions without the consideration of additional data." While the industry cites both studies as evidence that rubber crumb is safe, in response to complaints filed by PEER, both the CPSC and the EPA declared last year that their studies were limited in scope. In its press release, the CPSC wrote, "The exposure assessment did not include chemicals or other toxic metals, beyond lead." The EPA refused repeated requests from NBC News for an interview. It said in a statement that the agency "does not believe that the field monitoring data collected provides evidence of an elevated health risk resulting from the use of recycled tire crumb in playgrounds or in synthetic turf athletic fields." "The agency believes that more testing needs to be done," said the agency in a separate statement, "but, currently, the decision to use tire crumb remains a state and local decision." When NBC News first contacted the EPA in 2013, Enesta Jones, an agency spokesperson said that in 2010, after a meeting with state and federal officials, "EPA determined that this is not an issue." The agency does not have plans to conduct further studies, but is currently working on a "summary" of available research. For at least four years, citizens and advocacy groups concerned about crumb rubber turf have been fighting against the installation of artificial fields in San Francisco's Golden Gate Park. Early this year, a judge dismissed a suit against the city that alleged the environmental impact report conducted by the city violated California law by failing to disclose the risks associated with turf. The case is currently being appealed. Two turf-related propositions are on the ballot for the city's upcoming elections. One would bar the city from installing the fields in Golden Gate Park, and the other would give wider latitude to the city's Parks and Recreation department to install similar projects. An environmental group called the Center for Environmental Health (CEH) ledlitigation against several artificial turf companies in California for violations of Proposition 65, a state law that prohibits companies from knowingly exposing consumers to specific chemicals and heavy metals, such as lead, without clear warning. In a series of settlements, the companies agreed to reduce the amount of lead in their products sold in California and agreed to replace fields under certain conditions. Caroline Cox, research director for CEH, said that while studies haven't definitively established that crumb rubber turf is harmful, the surface contains chemicals known to be hazardous. "We know they're there," said Cox. "The point is, let's go with better alternatives instead of spending years and millions of dollars establishing harm. If there's a better way to do this, let's just do it." "Turf fields come with a number of real risks and a number of real benefits," said Dr. Joel Forman. "And every community … has to kind of weigh the different risks and benefits." When Amy Griffin first started using turf -- her team practices on it throughout the year -- she thought it was a "win-win." "I'm looking for answers, because I'm not smart enough to come up with them on my own," Griffin said. "I would love someone to say, 'We've done some tests and we've covered all of our bases. … And yes, it's safe.' That would be awesome. … I would love to be proved wrong."